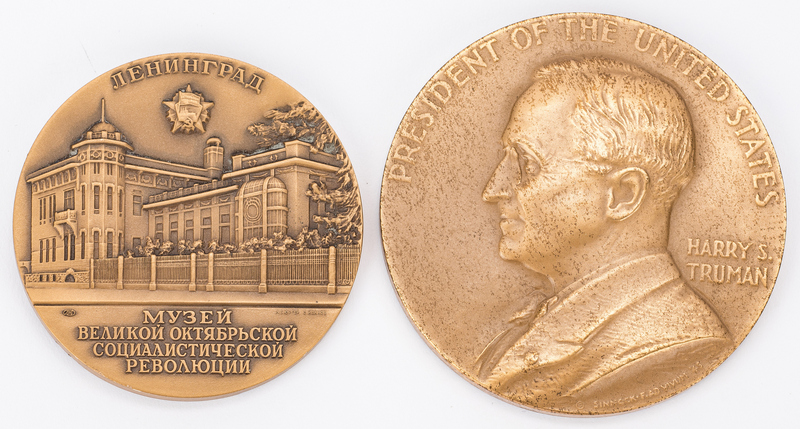 Group of ten (10) Bronze Medallions, including Presidential. 1st item: 1971 Andrew Jackson bronze medallion designed by Michael Lantz for the the New York University Hall of Fame for Great Americans, manufactured by Medallic Art Company, Danbury, CT. 2nd item: 1949 Harry S. Truman Ignaugural bronze medallion commemorating his April 12, 1945 presidential ignauguration. 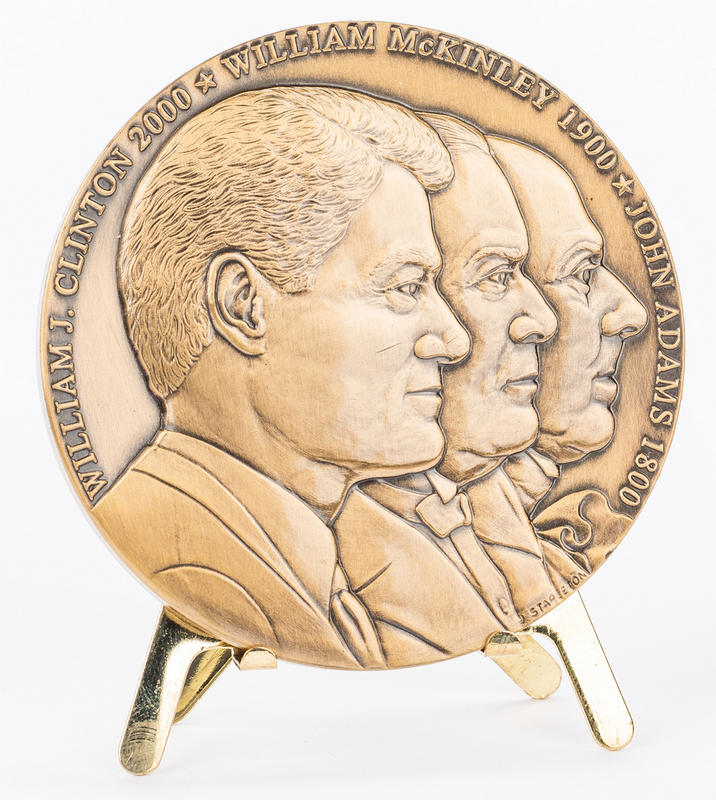 3rd item: 2000 America's Millennium issue bronze medal with the busts of presidents William Clinton, William McKinley and John Adams. Retains the original box and stand. 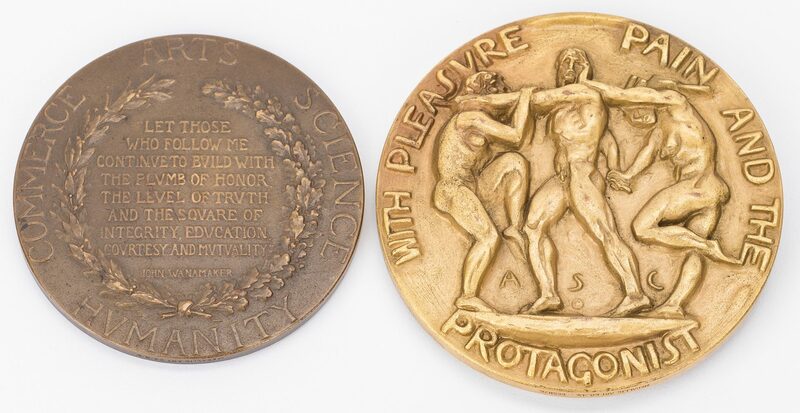 4th item: 1931 gold-plated bronze Charles Lindbergh medallion by Frederick MacMonnies, SOM – 4.1, manufactured by Medallic Art Company, New York. 5th item: 1971 James Buchannon Eads bronze medallion by Robert A. Weinman for the the New York University Hall of Fame for Great Americans, manufactured by Medallic Art Company, Danbury, CT. 6th item: 1938 Medallic Art Company "Dance of Life" bronze medal, designed by Alexander Stirling Calder. 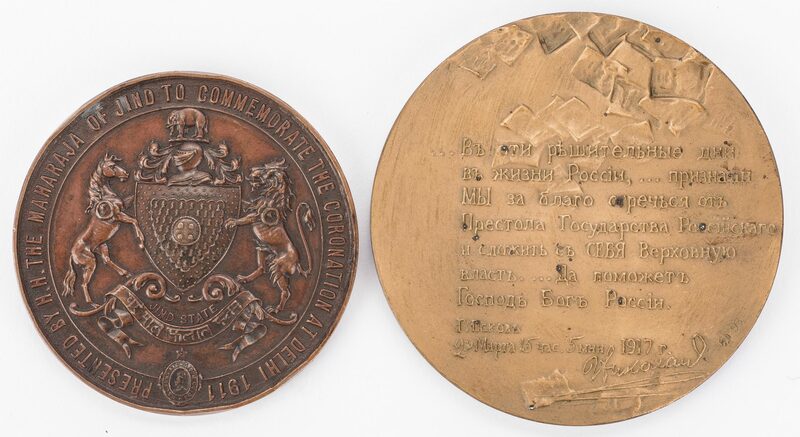 7th item: John Wanamaker 1861-1921 Diamond Jubilee bronze medal with poem en verso. 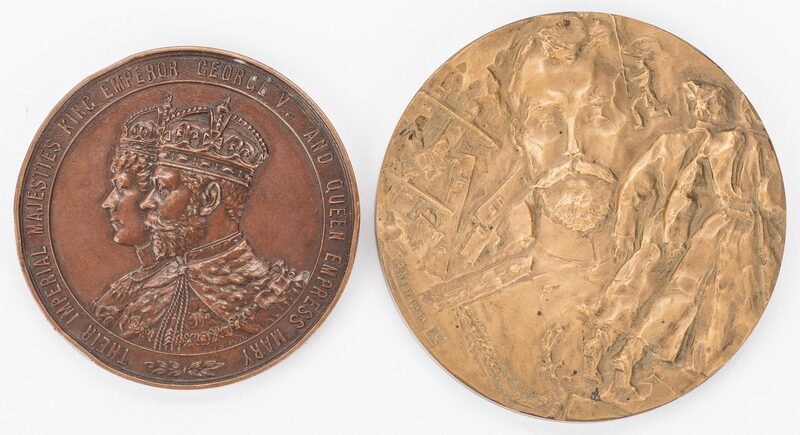 8th item: 1993 St. Petersburg Mint Czar Nicholas II bronze medal, by A. Kartashov. 9th item: Russian Socialist Revolution bronze medal depicting Vladimir Lenin. 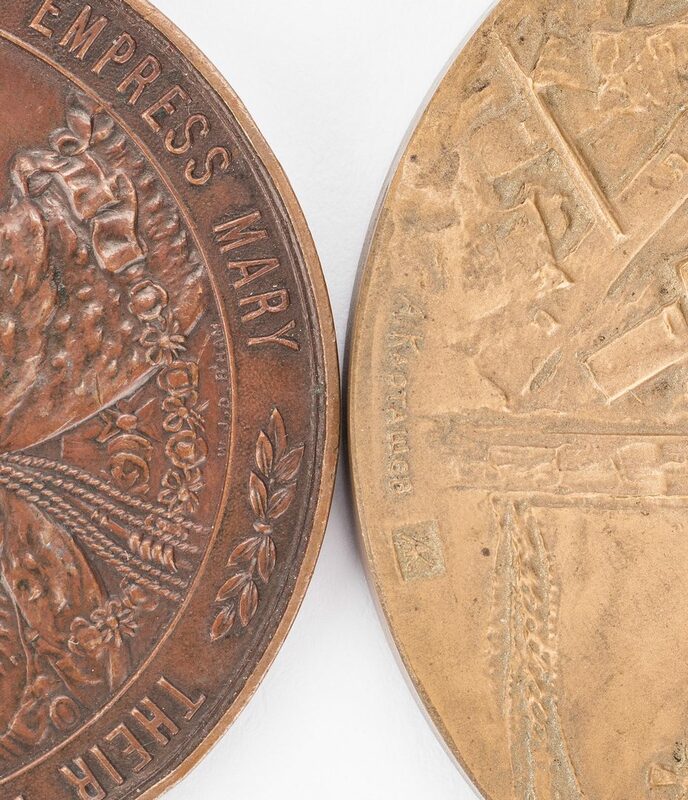 10th item: 1911 Bronze Jind Coronation Commemorative Medal commemoration the coronation of George V and Mary at Delhi by W.J.D. B'Ham. Presented by H.H. The Maharaja Of Jind to Commemorate The Coronation At Delhi 1911. Ranging in size from 2" to 3" dia. Provenance: The Estates of Olen Bryant and late Vanderbilt University art professor Thomas Brumbaugh, Clarksville/Cottontown, Tennessee. CONDITION: All medals with general wear, overall good condition.